In another era .. we'd have sat around a firepit .. with a cheese plate to pass and a glass of something sparkly in our hand. Talking into the night 'till our heart's content. Instead .. we leave comments on our computers. It's a little different .. we're missing out on that burnt marshmallow smell (for one) .. but really ..
At the same time .. I still love banana bread and meatballs. My brother's coconut cream pie and cabbage rolls that remind me of my Granny. Ketchup (there will always be ketchup). 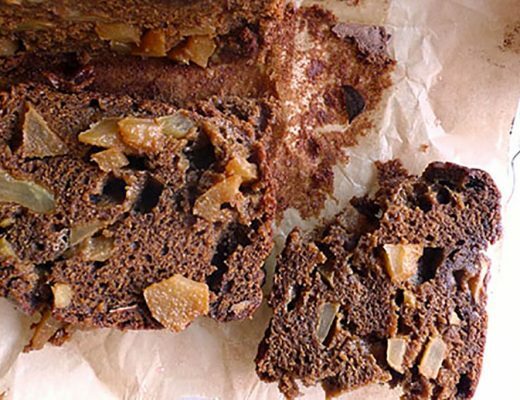 There's nothing like a good nut butter blondie .. and have you ever made a Dobos Torte for a special occasion? Because really .. I'm telling you .. Lately .. I've felt a kinship to the person who left the comment. A recent impromptu get-together with friends. Little baguette sandwiches that were so lovely .. so sparse and artfully spread .. with just the right amount of butter .. cheese .. and salty ham to stretch from tip to tip. They were utterly graceful .. if one can say such things about a sandwich. A picture-perfect spring evening .. still sunny at six thirty under a fading blue sky .. so we decided to walk to our neighborhood dive bar for a drink. After an hour or so we made our way home to start dinner. We sat down fifteen minutes later to what felt like a small victory. The addition to a really nice weekend. We were so happy to see the sun .. opening all of the windows to let the breezes blow through the house. We'd made it through week one (of six) with two puppies recovering from elbow surgery. Life was good. In fact .. I felt so inspired by our simple feast that on Sunday ..
And that roasted eggplant is wonderful? In a medium-sized bowl, add the first 7 ingredients and whisk until combined. Add the shrimp and toss to coat. 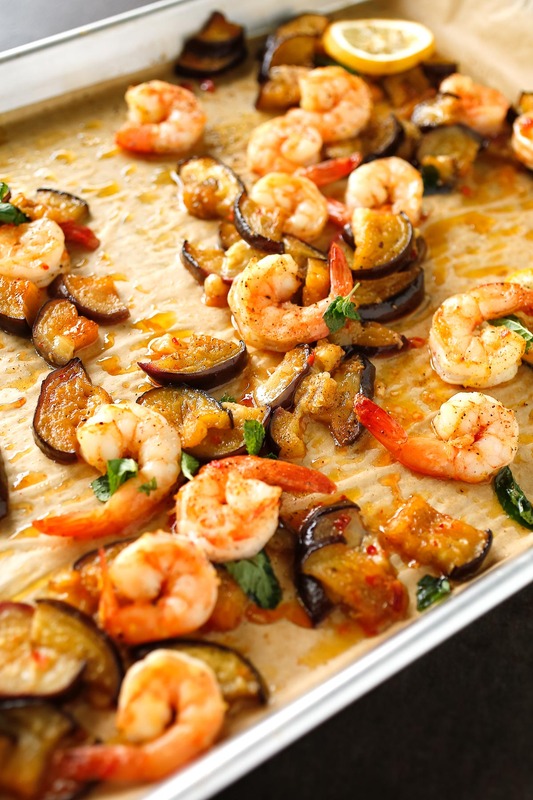 Combine the shrimp and eggplant on a large platter or onto individual serving plates. Top with mint leaves, and serve. That sounds really tasty! I think this would be a perfect meal to eat outside on the deck with my family. Shrimp looks delicious. I know you get more counts when we have to click through to a post. Rules say to leave a post please. I have asked nicely several time now. Thank you. 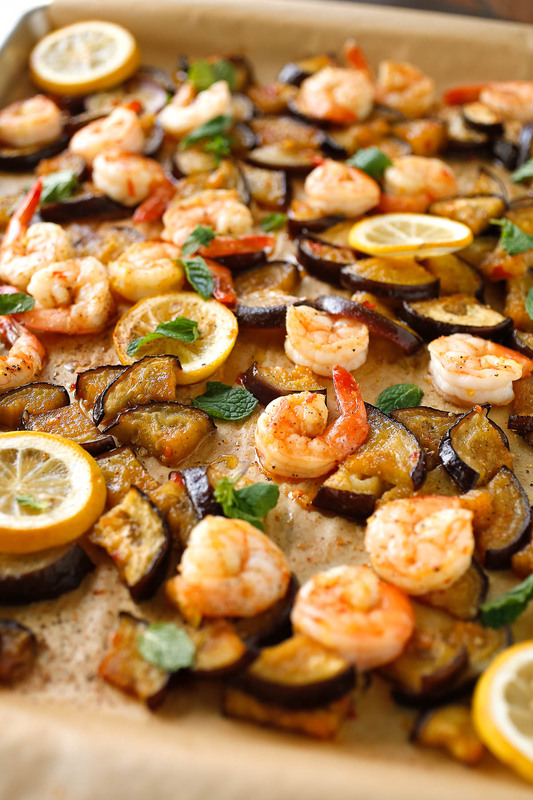 I love shrimp and eggplant! My kids would probably pick around it though lol. Looks very good! It looks really good. I am going someplace this summer we’re seafood is everywhere so I definitely want to try this when I get there. Wow you are such an amazing cook….Love this post!Prawns are my favourite and your food looks sooooo good!!!! If only I could cook as well. Oh wow how absolutely delicious does this sound! I am such a fan of anything with shrimps included. This looks really tasty with the added heat. I made roasted shrimp and zucchini, but it lacked the heat that I normal use. This recipe looks amazing. I would love to try this for a spring/summer meal idea! We love shrimp in our house. This recipe looks incredible! My wife and I like shrimp. Normally our meals include chicken, beef of some sort, chicken or pork. We rarely make anything with shrimp, probably because we’d want a recipe to use and I normally don’t think to search for any. I’ll bookmark this for reference! Spicy roasted shrimp looks like a really good and tasty dish. Works perfectly with the eggplant and mint. I tend to lean more towards simple foods the majority of the time too. Of course, there are always times of more complicated dishes and comfort foods, but simple and clean foods mostly. This spicy roasted shrimp dish sounds wonderful. It’s funny how some of the best recipes come when you just throw something together. Yum I love grits, especially one with a kick to it! Spicy shrimp sounds perfect! I have never been comfortable cooking seafood. My parents did not eat seafood so I was hardly served it as a child so that is why I believe. This dish looks amazing just fyi. But it’s true. A lot of us in the blogging world dont take the time to see how far we’ve come. It’s especially good when were feeling down. The strides we make without noticing is incredible. You had me at shrimp as it is my favorite. This recipe is good. I just wish I could get more of it but my hubby is allergic to shellfish. There aren’t enough tasty shrimp recipes in this world. This would be a good one. I love me some shrimp. I think this is a recipe that I would love to try here soon. I most generally eat or make what I’m craving at the time. 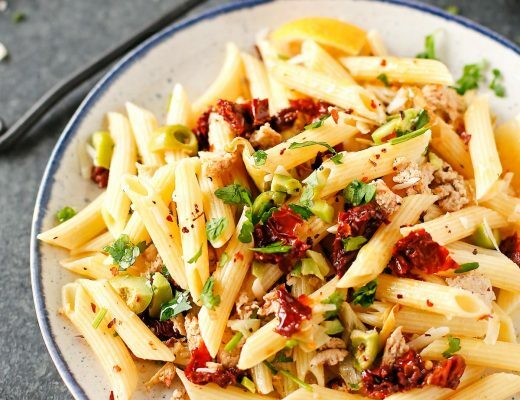 This definitely seems like it’s a simpler dish and it looks delicious! I never eat shrimp, it’s one of the foods I just can’t take to, but my husband loves it! I might try to make this for him as a special treat! He’d loved it! I love shrimp! We live on the gulf and get the best fresh shrimp. This recipe looks yummy and easy enough for me to try! Wow, this recipe has my mouth watering! Shrimp is definitely one of my favorite proteins of all time. I love how versatile it is, and the fact that it can be kept in the freezer and thrown right onto the pan for a quick main dish. The combo of eggplant and mint is one that Ive enjoyed before in other dishes, too. Simple meals, I love it. 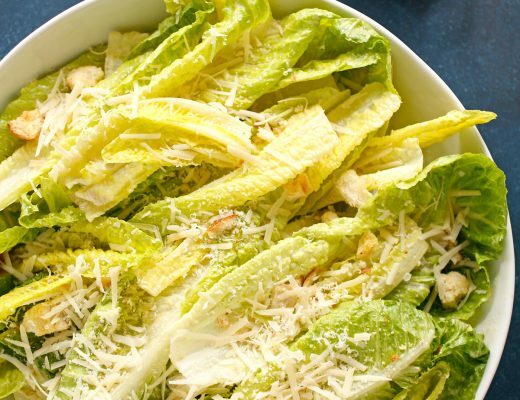 It’s one of the best ways to enjoy the quality of ingredients that you’re using especially with all the fresh produce this Spring all the way through summer. Ana is awesome, I’ve been reading her blog for the longest time and she’s always been an inspiration. I enjoyed that blog post as well and I’m glad that she inspired you to follow her footsteps. This recipe is really delightful. My husband and I would love it. Been craving shrimp lately and this just sealed the deal for me. I need to make this for dinner this week. It just looks too delicious not to! I LOVE SHRIMP AND EGGPLANT. I have never tried them together! this looks nice… i am gonna try this recipe soon! 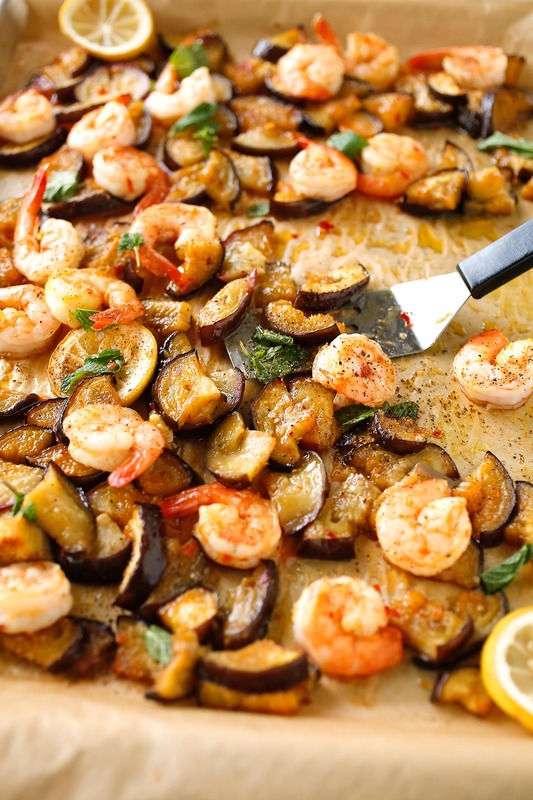 This sounds like a great spicy roasted shrimp dish with eggplant and mint. My family loves shrimp along with spicy foods and I will have to cook it for them. Thanks for sharing the recipe. Oh yum! I have never had shrimp this way before, I am wanting to make this! I know my husband would like shrimp this way. Thanks for the recipe! I got to this post on time. My husband was just asking if we could have shrimps for dinner tomorrow. Problem solved. Thanks for this yummy recipe. We will have happy bellies tomorrow. I love shrimps and could eat them any way they are prepared. 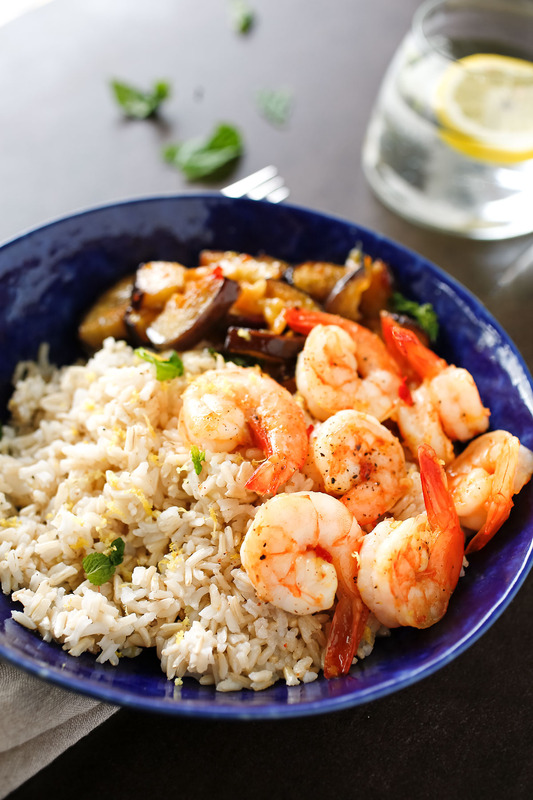 This recipe is perfect because I love the the spicy way the shrimp was prepared. The eggplants are also a delicious ingredient to this dish. I will make this tomorrow. Hope to find fresh, nice, shrimp at the store tomorrow. I loveeeee shrimp so this recipe is right up my alley! It looks delicious. This looks so delicious. I love shrimp and eggplant so I’m sure I’d devour it. I used to grow mint but I moved. I need to plant some more, I love it in so many recipes. How can l resist this dish? All ingredients are my favourite, and to serve them with rice is completely heaven on a plate. Wow, this was a nice post. I like how you intermingle general life talk with cooking talk. It’s very authentic. I’m allergic to seafood however i’m sure i could modify this dish to suit me! This looks delicious. 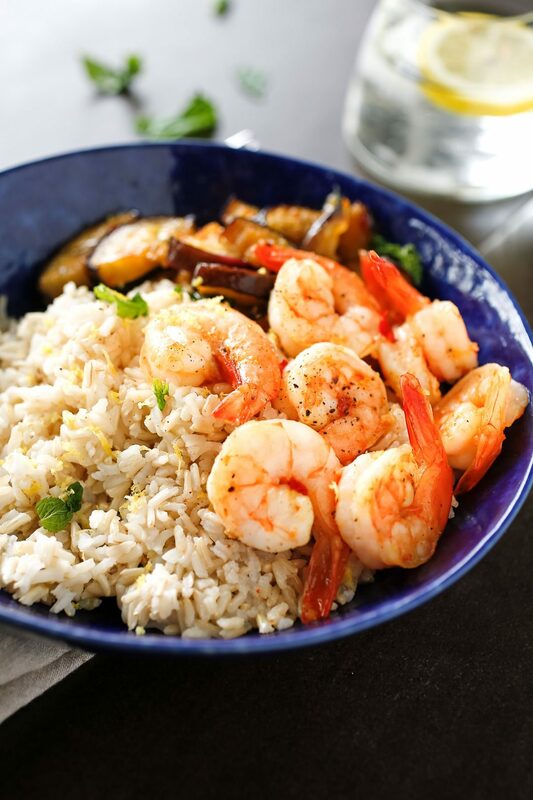 I have never tried eggplants, but I am a huge fan of shrimp so I’m pretty much sold. I see eggplant used in quite a few recipes so it’s a good chance I’ll like it I suppose. Wow! I really love shrimps and eggplants. The food looks delicious especially of the combination of the two of my favorites! Coming from someone who isn’t a fan of seafood, this really does look appetising! I absolutely love shrimp – any way it’s cooked. And eggplant…the best way to cook it in my opinion is by roasting it! This is such a great combo and I can just see all that flavour in there! This looks truly scrumptious. This dish reminds me of my holiay in turkey, and its darling beaches, i do love a seaside supper. Yes, this really looks great but unfortunately I don’t eat see food. I tried it, fight it and I simply can not handle it. Everything about this recipe sounds amazing except the eggplant! No don’t get me wrong, I love eggplant, it just doesn’t like me! It gives me killer heartburn! HAHA. I am still going to have try this recipe! I’ll suffer through the heartburn for a good dish! You had me at shrimp! I will definitely be giving this a try! It looks delicious! That looks like an amazing dish, the shrimp look like a good size and the combination of ingredients would make this taste really good. One to try when I get a chance. Delicious! I love shrimps and this looks like a simple yet healthy and tasty way to prepare it. I love eggplants as well, such a versatile veggie. A work in progress sounds like a good position to be in – Aren’t we all to some extent? I’ve never really given much thought to how the food we eat comes across to others so thanks for the inspiration. Love anything shrimpy but spiced is even better. Oh my what another great dish that I happened to stumbleupon on your blog Alison. You have totally been holding out on me with this shrimp dish.